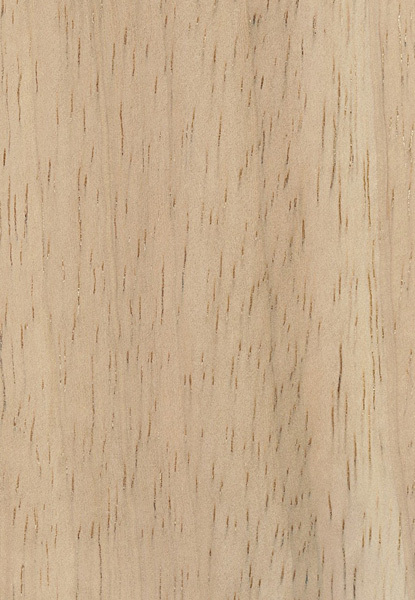 Color/Appearance: Heartwood naturally a light blonde to medium tan color, sometimes with medium brown streaks. 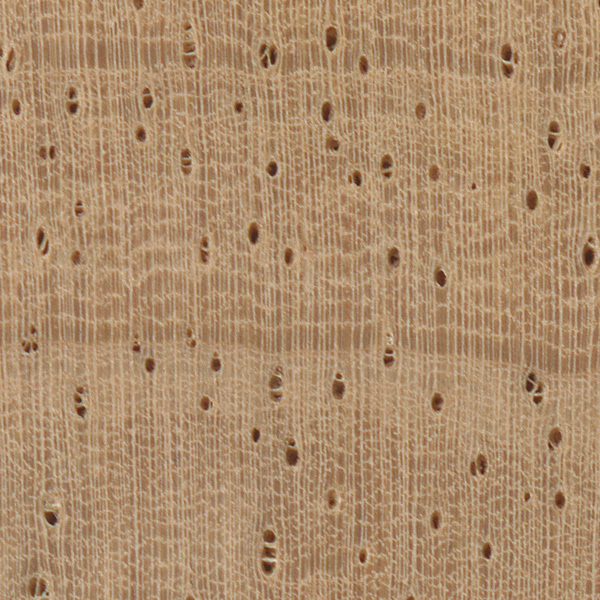 Sapwood not distinct from heartwood. Color tends to darken slightly with age. Frequently colored or stained when used in furniture construction. Grain/Texture: Grain is straight, with a somewhat coarse, open texture. Low natural luster. 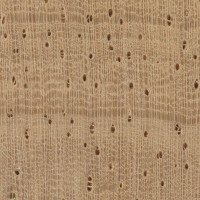 Endgrain: Diffuse-porous; large to very large pores in no specific arrangement, very few; solitary and radial multiples and rows of 2-4; tyloses and heartwood mineral/gum deposits (brown) occasionally present; growth rings usually indistinct; narrow to medium rays barely visible without lens, spacing normal to fairly close; parenchyma diffuse-in-aggregates and banded (reticulate). Rot Resistance: Rubberwood is perishable, and has very little natural resistance to decay. It is also susceptible to fungal staining and insect attacks. Workability: Easy to work with both hand and machine tools. Rubberwood tends to warp and twist in drying, though it is fairly stable in service once seasoned. Glues, stains, and finishes well. Odor: Rubberwood has an unpleasant sour odor while being worked, especially when green, which subsides upon drying. Allergies/Toxicity: Besides the standard health risks associated with any type of wood dust, no further health reactions have been associated with Rubberwood in particular. However, individuals with natural latex or rubber allergies may have reactions to Rubberwood. See the articles Wood Allergies and Toxicity and Wood Dust Safety for more information. Pricing/Availability: Rubberwood is rarely exported in raw lumber form, but is instead worked into a variety of furniture, kitchen, and other household items and then exported and sold elsewhere. Sustainability: This wood species is not listed in the CITES Appendices or on the IUCN Red List of Threatened Species. Rubberwood lumber is typically taken from rubber plantations where the trees are tapped for latex, and harvested at the end of their useful life cycle—typically after about thirty years. 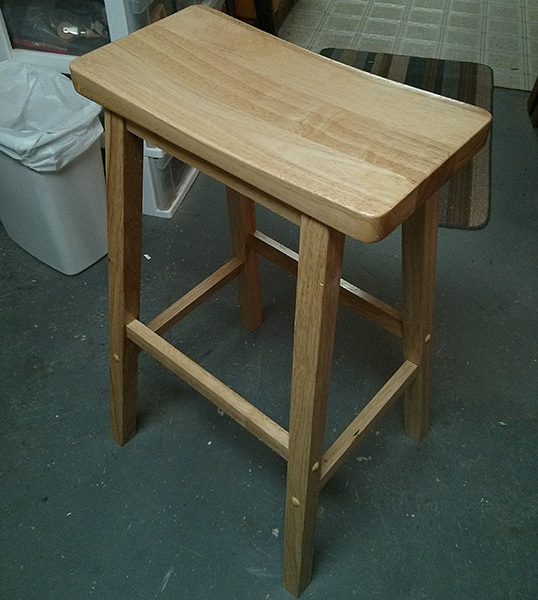 Common Uses: Furniture, cabinetry, interior millwork, kitchen woodenware (cutting boards, knife blocks, etc. ), and other small, specialty wood items. Comments: Despite its common name, Rubberwood isn’t any more elastic or soft than comparable hardwoods of similar density/weight. 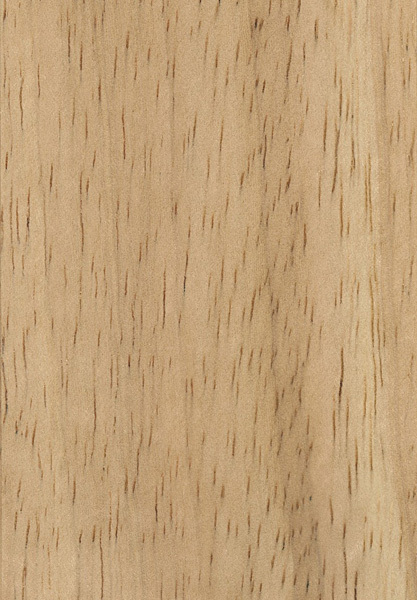 Rubberwood is seen on a wide variety of (mostly inexpensive) Asian imported furniture. Many big-box and home furnishings retailers will have pieces made out of Rubberwood. 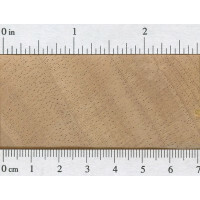 When sold in this capacity, it is sometimes marketed under the ambiguous moniker “Plantation Hardwood.” Commonly stained and available in a wide range of colors and finishes. Does this wood make good beds? I don’t see why not. It’s used in furniture all the time. Would you recommend using it as a cutting board?Is it safe? Is it machined into into flooring and is so can it be refinished? 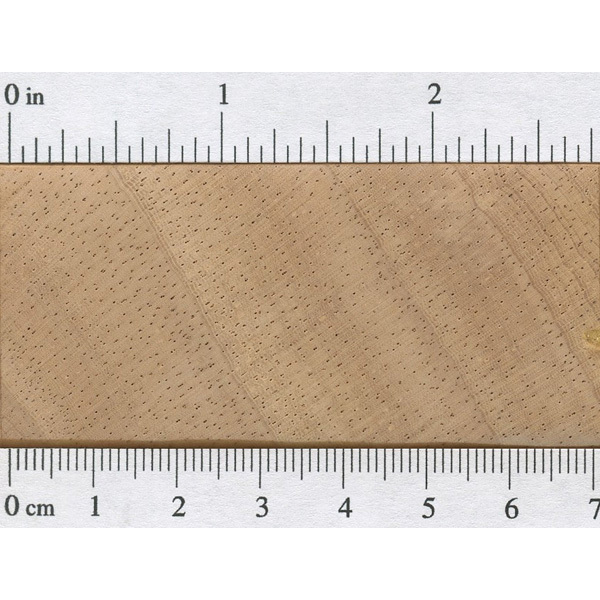 What is the acoustic properties of rubberwood?can you share it? Sorry, not poplar. Poplar’s super soft! It says right at the top of the page—that’s the whole point of this website! It’s hardness is 960 lbf, which puts it on par with walnut, cherry poplar. A softer hardwood.